Kuro in his classroom at Karen School for the Deaf, Kenya. Kuro with a teacher and translator. 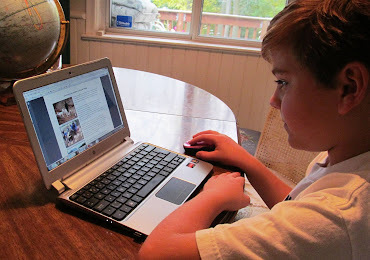 Deaf children and their families are stigmatized in some cultures, as people do not understand the cause of deafness nor the potential of deaf persons. 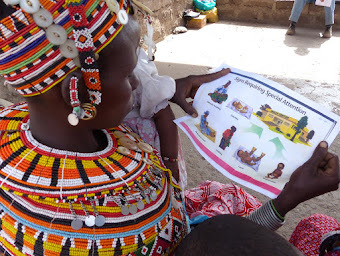 Kuro is one who will help to change attitudes toward deafness in his Borana and other communities. Kuro’s mother is one of the older widows that we have helped with livestock. On a visit, we learned that her only child could no longer attend school due to lack of money, so was destined to ostracized life in their village. She was in tears, having determined to sell the donkey that relieved her of so much work. She said, “I would rather die than have my son denied an education.” In response to a loving mother’s plea, one of our staff provided a year of education support. 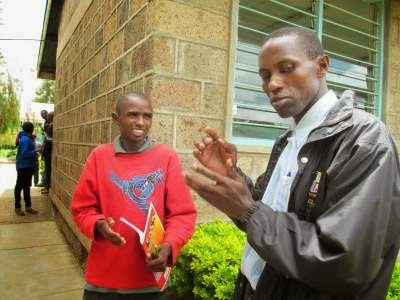 When Kuro completed secondary school, Sauti Moja continued to support him in a technical school for the deaf. 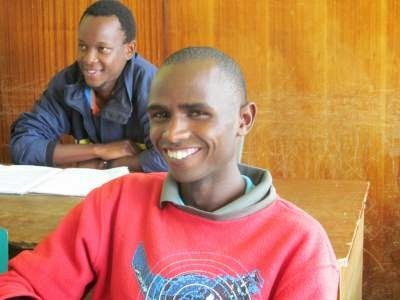 Kuro is now studying carpentry and learning business management. 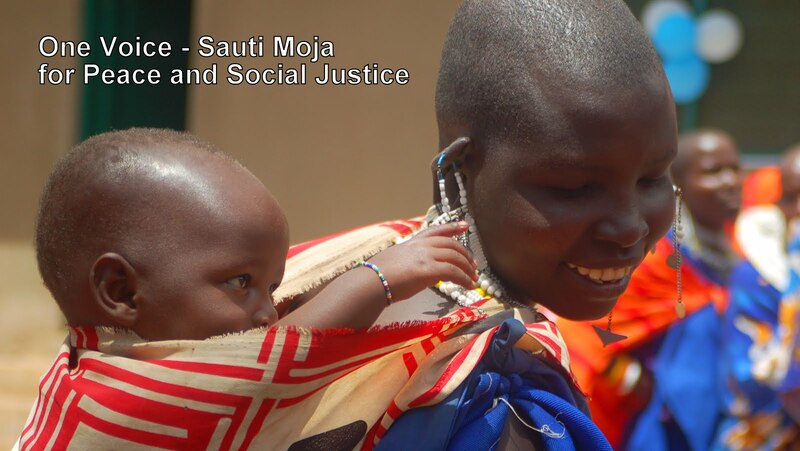 Both Kuro and his mother are happy, he has a bright future with all the new construction in Marsabit area, and his mother’s sacrifices will be rewarded by support from a devoted, loving son.